UPDATE (7/19/16): The book is out NOW! Get your copy via the Amazon link below! 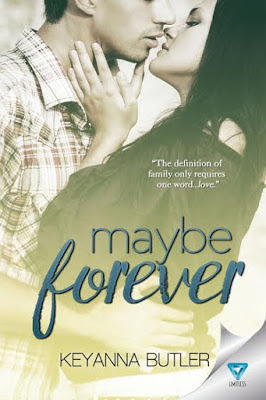 Just two weeks ago, I posted the cover reveal of my friend, Keyanna Butler's, first book, "Maybe Forever." Now, I am happy to announce that the book is available for pre-order on Amazon for only $3.99. The book will be released July 19. You can also add it on Goodreads, and feel free to reach out to the author on Facebook and Twitter.